Every day around the world millions of people enter virtual worlds through video games. These games are now the fastest-growing form of entertainment and are being played by people of all ages. International communities are coming together to play, have fun and share ideas – without ever meeting. How To Play A Video Game unlocks this amazing world, giving an insight into what makes video games so fascinating and entertaining to the people who play them. Check out a brilliant review for the book from The Otago Daily Times. Voxy and Scoop introduce Pippin Barr to the world here. Pippin Barr is the creator of a new flash-based video game that has recently been reviewed by Kotaku, based on an art exhibition by contemporary artist Marina Abramovic at New York’s Museum of Modern Art. Play it here. Check out more reviews here, and here. The Huffington Post describes this video game as “art” – as it moves beyond the usual style of video games and challenges the player to question what the point is and what makes them play. 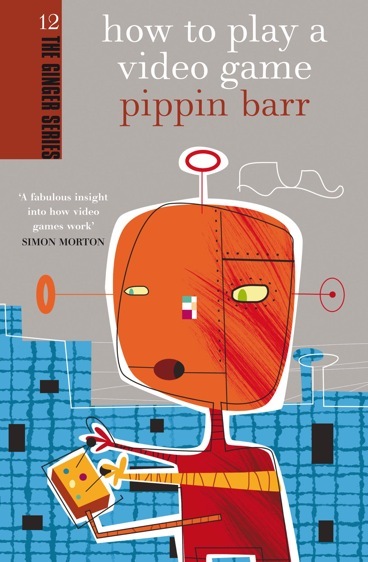 You can find more of Pippin’s games here.